LINCOLN, Neb. (AP) — Nebraska fired seventh-year coach Tim Miles on Tuesday, and athletic director Bill Moos said he’s spoken with former Iowa State and Chicago Bulls coach Fred Hoiberg to gauge his interest in the job. Moos announced the firing two days after the Huskers finished a 19-17 season with an 88-72 loss to TCU in the second round of the NIT. Much was expected of the Huskers this season. They brought back four starters from a 22-win team that was fourth in the Big Ten, and the question among fans and media wasn’t whether Nebraska would be in NCAA Tournament but how deep a run it could make. But the Huskers went into a free fall in January and February, losing 11 of 13 games on their way to a 13th-place finish in the conference. Moos anticipated it would take seven to 14 days to name a successor to Miles. He said he has spoken with three or four possible candidates, and he confirmed Hoiberg was one of them. The 46-year-old Hoiberg has ties to Nebraska. He was born in Lincoln, and his grandfather, Jerry Bush, was the Cornhuskers’ coach from 1954-63. Prior to taking the Bulls’ job in 2010, he had enjoyed a successful five-year run as Iowa State’s coach with his up-tempo, spread-the-floor offense. He went 115-56 and led the Cyclones to four straight NCAA Tournaments and two Big 12 Tournament titles. The Huskers started this season 13-4 and appeared in the AP Top 25 for the first time since 2014. The Huskers were dealt a blow when second-leading scorer and starting lineup fixture Isaac Copeland went out for the season with a knee injury Jan. 26, but by then the season was on its way toward unraveling. 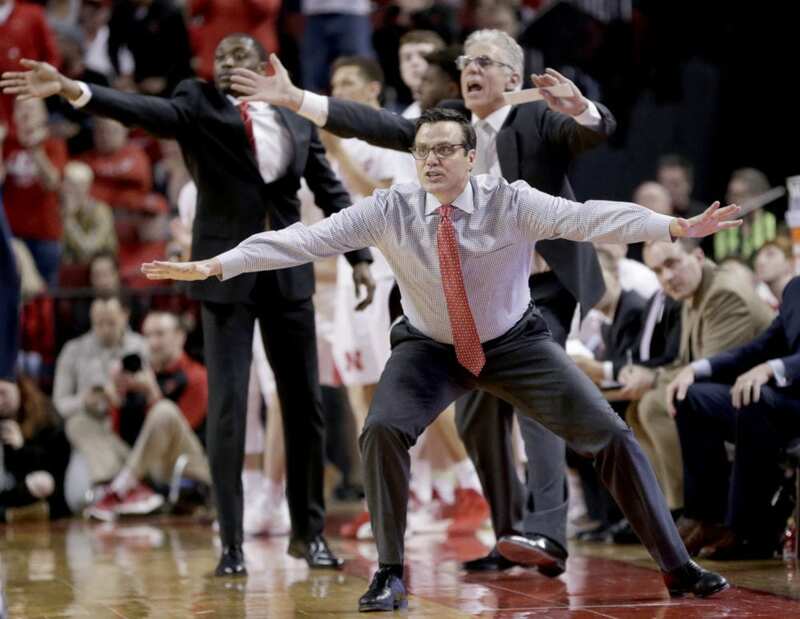 Be the first to comment on "Nebraska Fires Hoops Coach Miles; Hoiberg Contacted"